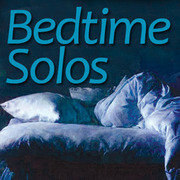 Bedtime Solos, by Jakob Holder, is directed by Bob Paisley and features Amy Kelly and Jordan Fox. Here Bob, from Central Standard Theatre, based in Kansas City, who has directed many other works by Holder (described by Edward Albee as “a gifted and provocative young playwright”, talks about this very unique piece of new writing. 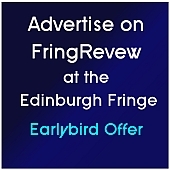 This entry was posted on Tuesday, August 20th, 2013 at 11:54 am and is filed under Audio Interviews, Edinburgh Festivals 2013, Edinburgh Fringe 2013. You can follow any responses to this entry through the RSS 2.0 feed. Both comments and pings are currently closed.